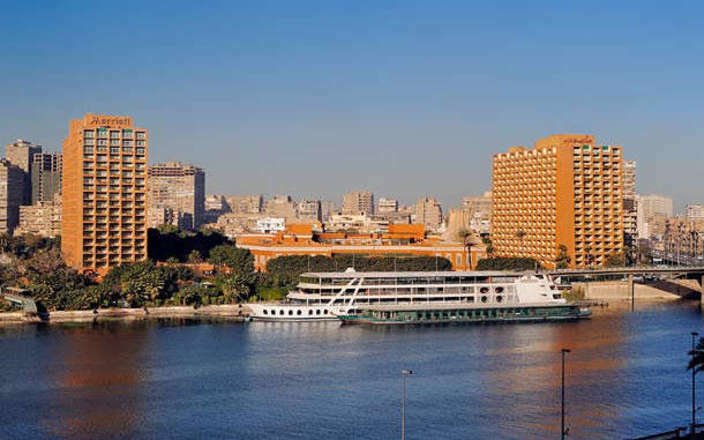 Built as a guest palace by the Khedive of Egypt for the inaugural celebrations of the Suez Canal in 1869, the heart of what is now the Cairo Marriott Hotel is a stunning piece of grand oriental neoclassical inspired architecture, located by the Nile in the exclusive Zamalek district of central Cairo. 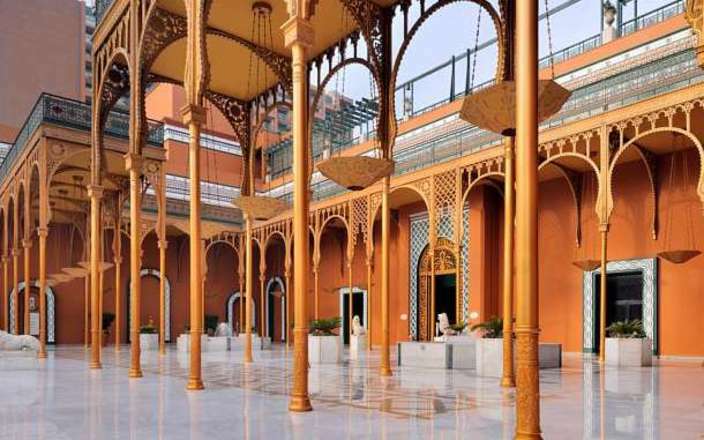 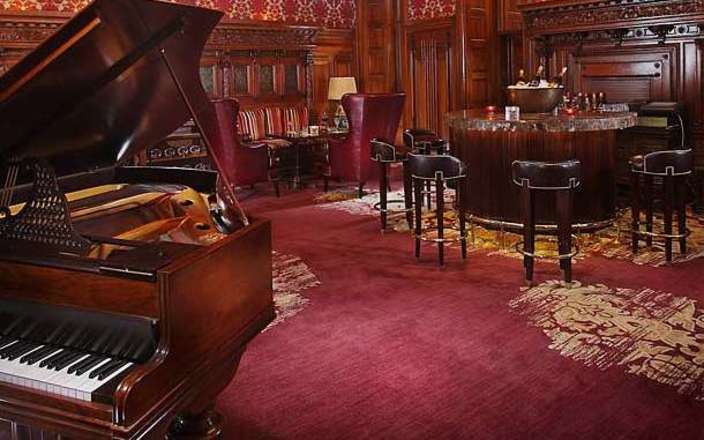 This large hotel isn’t the most luxurious property in Cairo, but it is both comfortable and well priced, while the original building will appeal to those looking for charm and 19th century character. 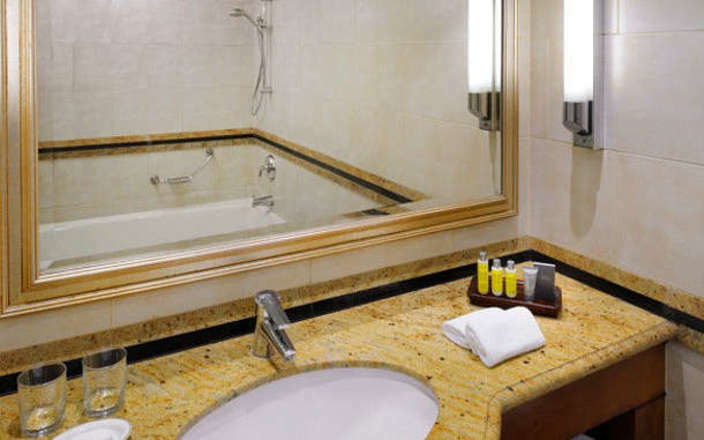 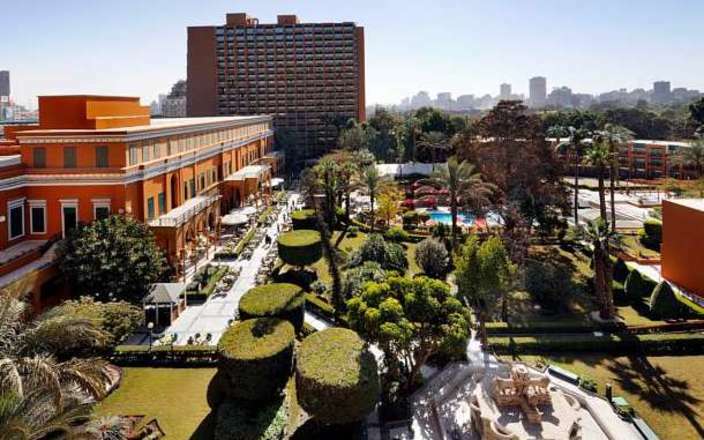 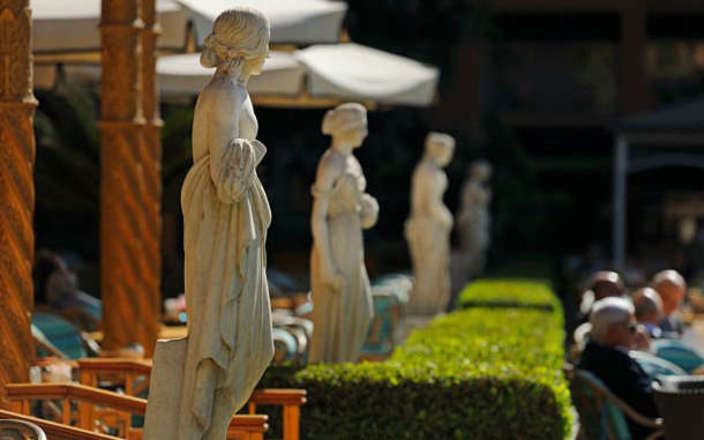 The Cairo Marriott Hotel is surrounded by six acres of lush palatial gardens and offers accommodation in 1087 rooms and suites housed in two modern tower blocks flanking the original building. 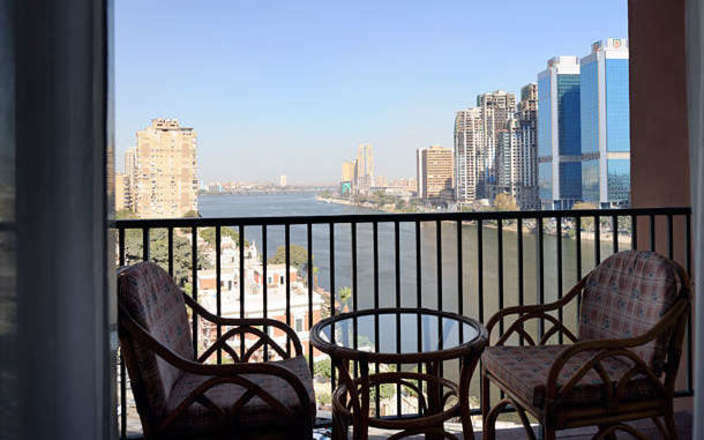 Many of the rooms have private balconies and Nile views, all have complimentary Wi-Fi and feature; whirlpool bathtubs, extra thick mattresses, fluffy pillows, flat screen televisions, and mini-bars. 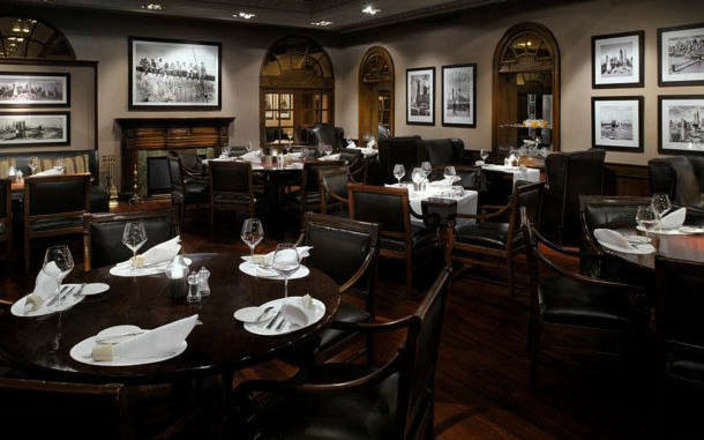 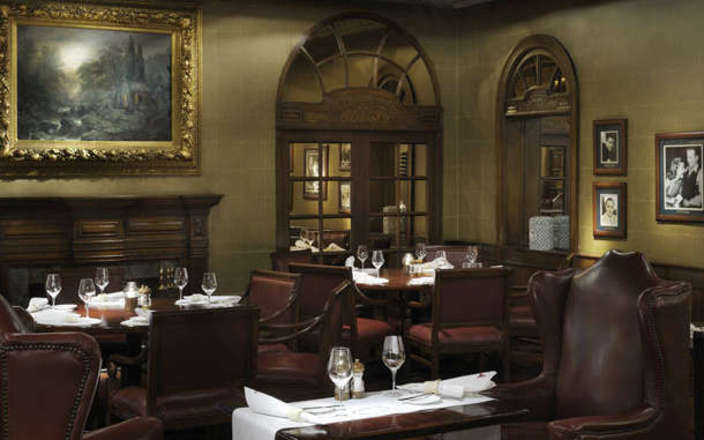 A choice of fifteen onsite restaurants, some of which reflect the style of the original 19th century palace architecture, ensure that guests’ culinary tastes are well catered for while staying at the Cairo Marriott Hotel. 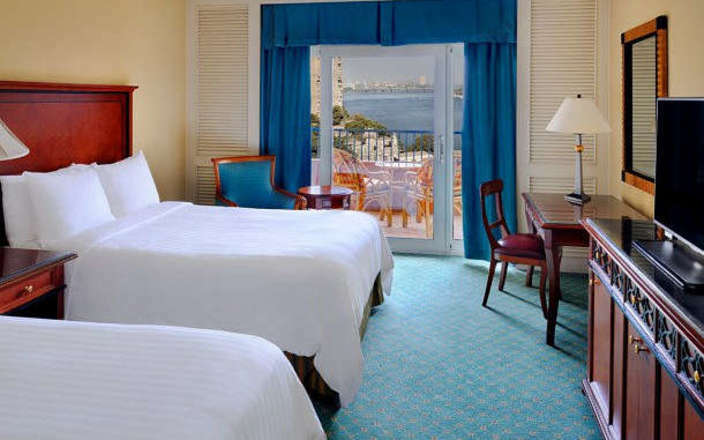 Leisure facilities include a fitness centre, sauna, tennis courts, and a lovely outdoor swimming-pool. 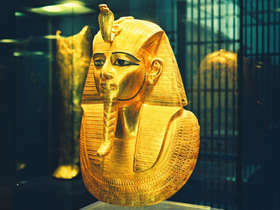 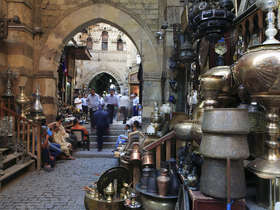 A shopping arcade and the Omar Khayyam Casino provide further opportunities while staying at the Cairo Marriott Hotel.